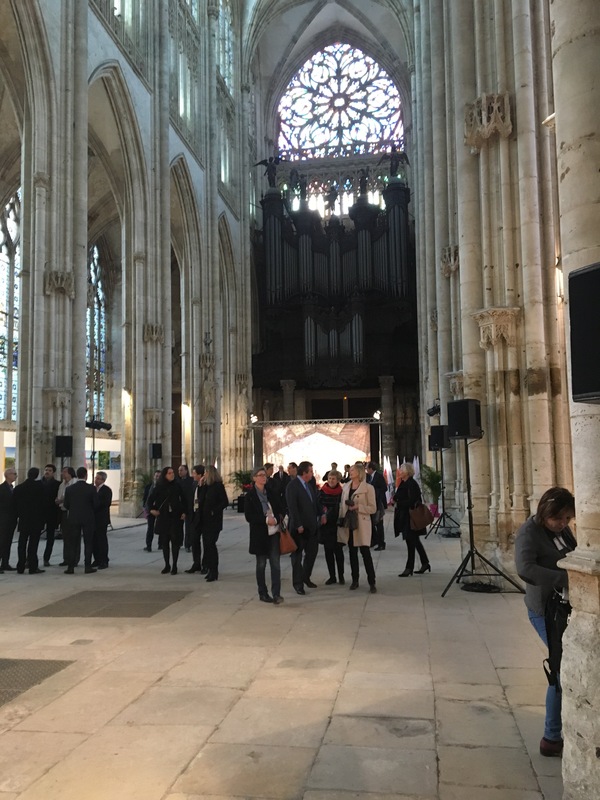 This week Rouen represents France for the International Convention of Tourism after hotly contesting and defeating all other cities in France to welcome thousands of Tour Operators from around the world and give them a taste of France. France is the greatest tourist destination in the world and it wasn’t surprising to see the city packed with people. 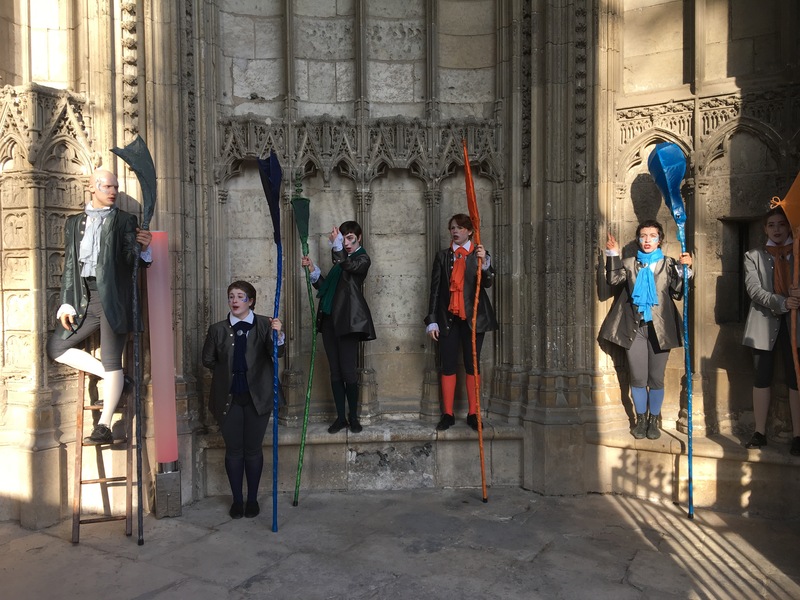 The weather was glorious with crystal clear blue skies and the sun beating down on Rouen’s medieval streets; a far cry from the grey gloom of recent weeks. 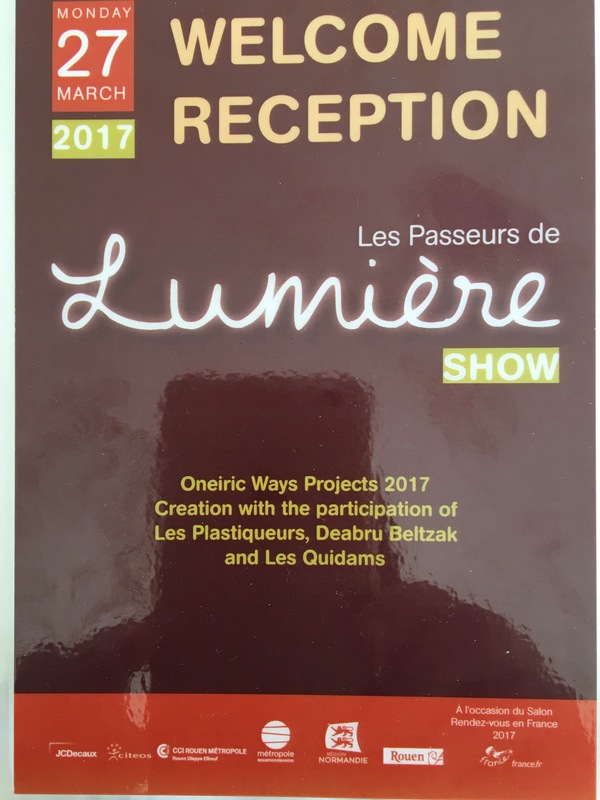 After a charged agenda of visits yesterday, for tour operators from as far afield as China, Russia, Australia and the US, the day culminated in the Passeurs de Lumière and the Convention’s “Welcome” reception. It was only at 10 in the morning that I received a call asking me to be live interpreter for Hervé Morin, President of Normandy, and ex minister of defense under Sarkozy. Forty minutes before I was due to take the podium I received the printed French discourse , and in need of speed roped in my bilingual daughter to translate while I simultaneously rewrote it out in English. 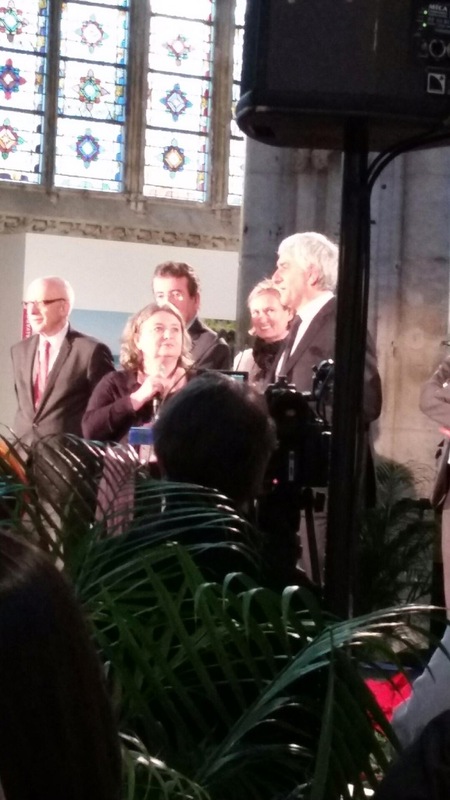 Armed with my translation at the venue, the beautiful abbey St Ouen, Herve decided to ad-lib and throw out his planned speech. Thankfully we were two interpreters, and the speech went off without a hitch. 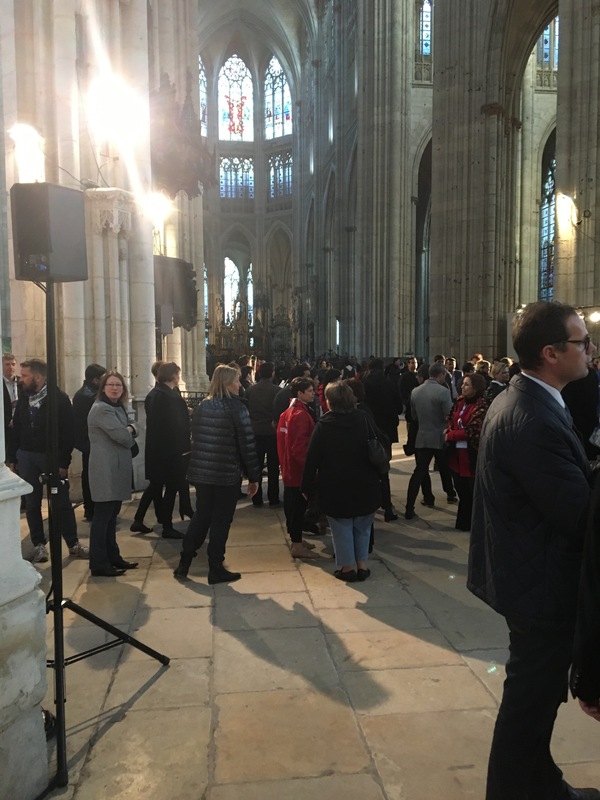 Gradually the huge abbey emptied of people. 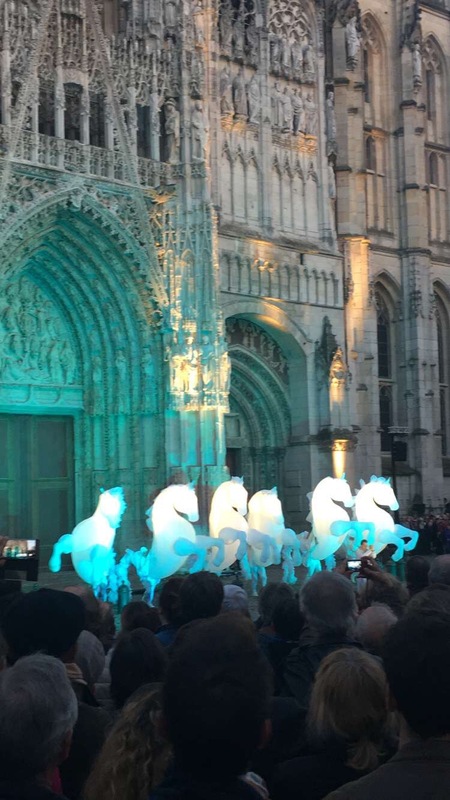 The confederation were led through the darkening streets by six wonderful ethereal white lantern horses which stopped in front of St Maclou and the cathedral of Notre Dame, also coming up close and personal in rue St Romain. Drummers lined the streets to the Vieux Marché where the many restaurants had all created an identical menu, and the 1000 strong Convention dined around the square, with tables spilling out onto the cobbles under beautiful colored lanterns. A very French feast for all the senses!